Welcome to Whakaaio. The owners have thought of everything to ensure your stay at Whakaaio is as the name suggests, peaceful. All on one level this three bedroom property has an open plan kitchen, living and dining area with large a comfortable italian sofa that you'll find it hard to get out off. There are outdoor dining options on both sides of the house so you are sheltered as you enjoy your meal to the sounds of the local native birds. The three bedrooms are King, queen and 2 king singles with 2 singles located in the garage if need be. A beautiful property ready to unwind you. 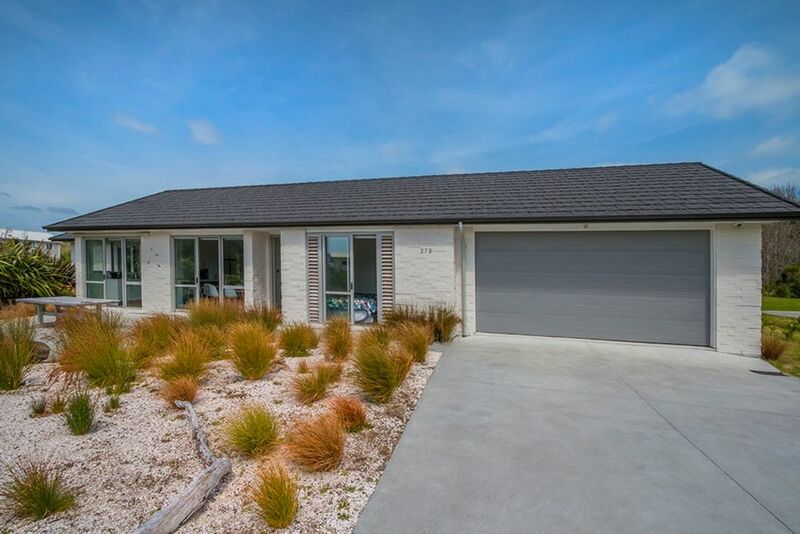 Modern, clean and serene property a short walk from the southern end of Omaha beach. Great indoor / outdoor flow. Well stocked kitchen. Great layout for families. And good wifi! Perfect spot for an Omaha escape. Our hosts were helpful and accommodating. Excellent place to stay. We had a great time. Beautiful property with lots of space for our family of six. Lovely to walk down to the beach everyday. Fantastic property, peaceful and quiet location. Would highly recommend this property. Very comfortable, clean and well equipped house. Short walk to the beach. Owners very generous in allowing us to use the bikes and beach toys. Super comfortable beds! Modern home with fantastic facilities, all in a great location. Lovely home and fabulous location. We had a great visit and enjoyed coming back to this lovely home after each outing. Thanks Kate, glad you had a lovely weekend. We absolutely loved our stay here. Quiet location but still close to the playground and beach. Really comfortable beds, kitchen was well appointed and house was really clean and tidy. We hope to come back to stay again soon.